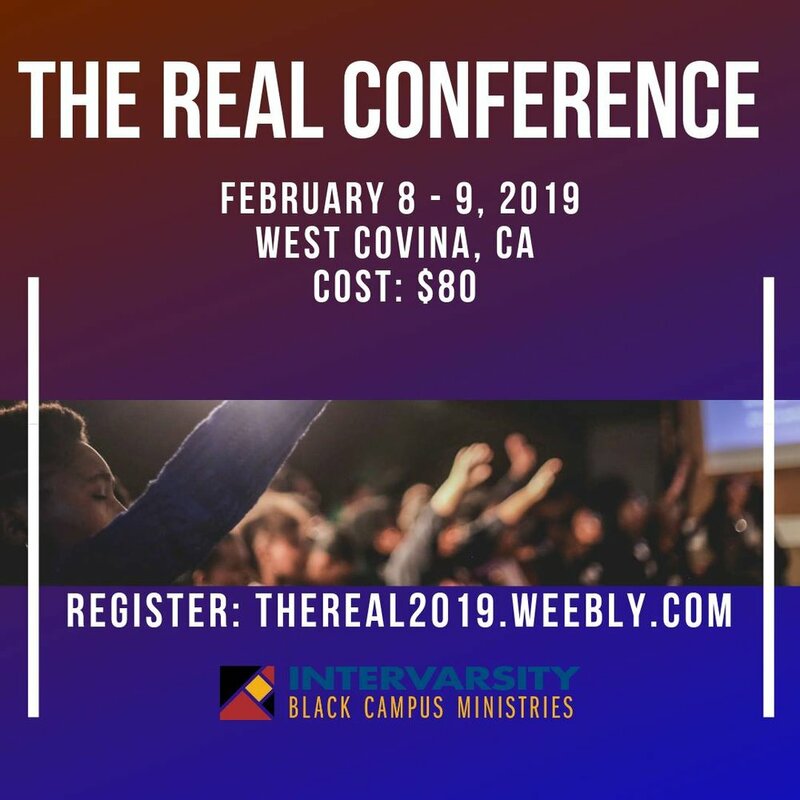 InterVarsity Christian Fellowship-Black Campus Ministries in Southern California welcomes you to our annual weekend conference. Hear powerful preaching, experience dynamic worship, build lasting friendships. Join us for The Real. Check out our website HERE. There is a discount for San Diego students. Contact us for a registration code! Where: First Presbyterian Church of Covina (310 N 2nd Avenue, Covina, CA 91723). Who: Black students from college campuses all across Southern California and Nevada.